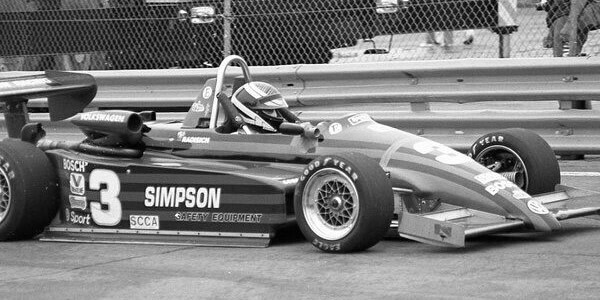 Scott Atchison had been SCCA Formula Ford champion in 1985 and had moved into FSV in 1986, ending the season as rookie of the year. He started the 1987 season driving for Dominic Dobson before moving across to Bill Simpson's team. Atchison won four races, but more importantly he finished every race well inside the points, and this kept him ahead of his nearest challenger, Dave Kudrave. Steve Bren could have been a major contender for the title, especially considering his dominant victory at Long Beach, but he preferred to take time out trying to tie up a CART deal that even his father's multi-billion dollar wealth could not secure. In 2015, Bren was top of California's list of "Delinquent Taxpayers", owing the taxman over $4.5 million. Ken Johnson was back in FSV after a failed attempt at Formula 3000 in Europe. He was soon back to winning ways in the smaller FSV cars, and ended the season third in the table. Other familiar surnames further down the table were Tony George, the Indianapolis Motor Speedway heir, and Robbie Groff, the 18-year-old younger brother of FSV alumnus Mike Groff. This points table is from Autosport 3 Mar 1988 p38. On the technical side, Martini's moment in the sun was over, and it was wall-to-wall Ralt RT5s, with the top teams juggling 1985, 1986 and 1987 monocoques and specification, in an effort to find the best combination. A handful of Martini MK53s were sold, and Mike Smith's fourth place at IRP was the best result. A few Anson SA6s and Griffiths were the only other non-Ralts. Atchison moved into CART with Machinists Union Racing, a minor team, and he had little success. Kudrave moved to ARS, and reached CART by a more patient route in 1993. Dennis Vitolo, fourth in the points table, was the only leading FSV runner to have any sort of CART career, and even that was very intermittent.